We met Junia in 2010 when she came to us in need. She was a single mom, working in a hotel that downsized and she wasn’t able to find other work. She got behind on her rent, and couldn’t afford food for her family or school for her girls. Like so many families we meet, Junia needed a just little help to get back on her feet. When our program support worked for Junia and her family, she told her friends and her neighbors. Pretty soon, the entire community looked to Junia as a leader and as a resource and friend who could now help them. 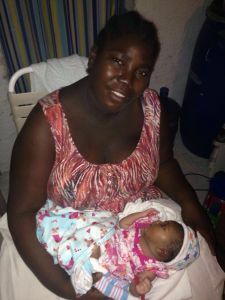 With a newfound confidence, a new role as a Haitian Families First employee, and a desire to help other mothers in need, Junia quickly found her passion in giving back. Junia’s children, Daphka 13, Schneidine 10, and Jeremie 4 have a new baby sister, Ilora born just four weeks ago. Junia’s family is strong and happy now because of the support from her community of extended family and friends at Haitian Families First. Your continued support of mothers builds community and creates strength so that families thrive together. Please consider a mother’s day donation to keep families together. Stories like Junia’s are the reason Haitian Families First continues to serve and the reason our efforts go farther so that one day, our work will not be needed. 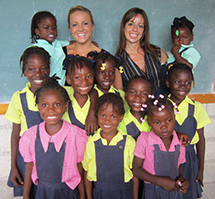 Support Haitian Families First While You Shop For Mother’s Day! Mother’s Day is coming up. Use our link and Amazon will donate to Haitian Families First for every purchase you make! You may have noticed over the last nine months that all communication from Haitian Families First, including newsletters, emails, and social media, went silent. We are writing to you today to assure you that the silence was by design and necessary, and thatthe activities of Haitian Families First on the ground in Haiti never went silent, never took a break, never stopped helping keep families together, keeping children educated and healthy, and changing lives for the better. As you may be aware, HFF had been working closely with LUMOS, Harry Potter author J.K. Rowling’s nonprofit organization, which works to end the orphanage culture in countries that could instead benefit from social services – such as foster care and family based support – in place of institutional care. LUMOS, like HFF, has a goal of seeing families stay together, or, in cases where children cannot remain with their families, see them placed in a loving home rather than an institution like an orphanage. The situation in Haiti became dangerous for us when it was publicized that LUMOS began work in Haiti, as there are many orphanages and their owners and stakeholders who are highly motivated to remain in operation rather than be shut down by a government working with LUMOS and organizations like HFF. After discussing the situation with LUMOS we decided that we would remove ourselves, physically, from Haiti until our safety could be assured. After nine months, we feel we have reached that point and therefore can resume communications regarding our ongoing operations in Haiti. Although the situation concerning this work in Haiti could change at any time, it is currently stable enough for Ali to travel to visit many of the 120 HFF families and meet with our partners in Haiti. 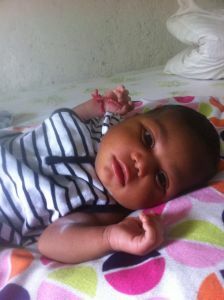 We are excited that Ali is arriving in Haiti as you are reading this! Our employees never stopped working and the children and families in our program saw no interruption in our services to them. Unfortunately, our required silence meant we were unable to raise necessary funds to see our operations continue past early January of 2016. HFF is changing Haiti. 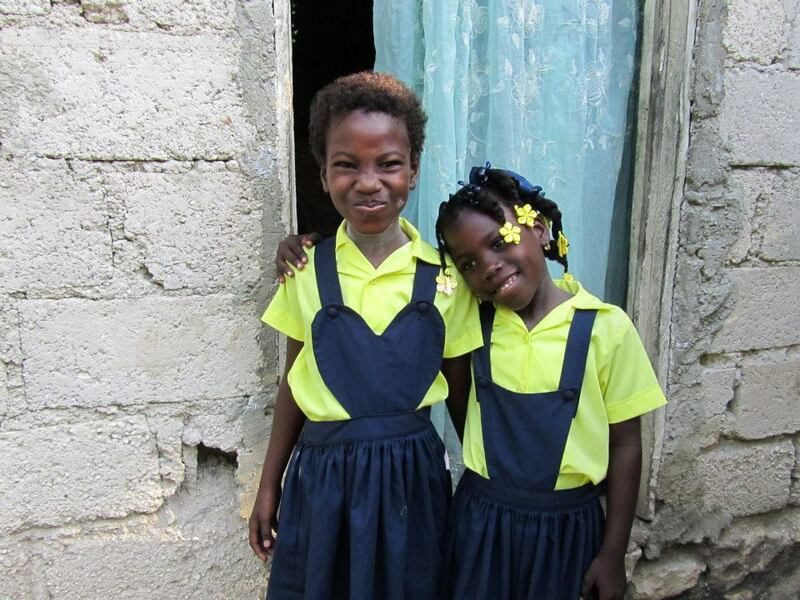 The LUMOS plan for Haiti aims to see the last orphanage closed by 2030. We are proud to have identified an ally this powerful and well-aligned with HFF’s mission. In order to carry out our part in this vast 15-year plan, we need your help now. Please consider a tax deductible end-of-year donation to Haitian Families First so that we may continue to keep families together. So that we can continue our collaboration with partner organizations. So that we can change Haiti and the lives of their most at-risk families forever. 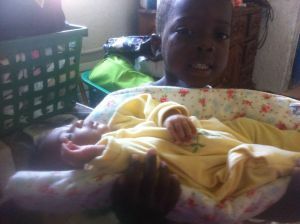 You can donate now by visiting www.HaitianFamiliesFirst.org.